All staff photos published in the Record-Eagle print edition during the week of July 26 - August 1, 2009. Note: Some photos may not be available until late afternoon on the day published. Photos published on Saturday and Sunday will be available for purchase Monday. 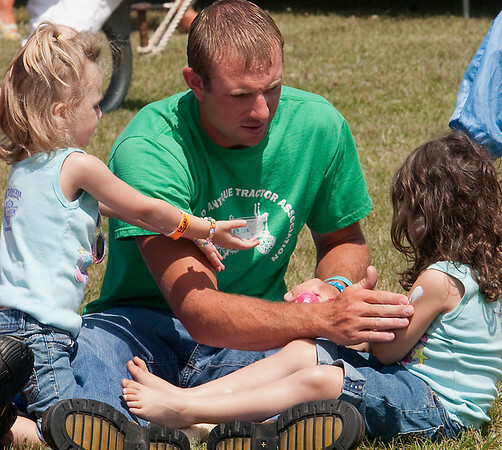 Justin Hyde applies sun protection to his daughter Makayla, 3, left, and his niece Natalie, 4, as they listen to music at the Suttons Bay Blues Festival.